Please provide as much information as possible to help us determine whether your team is eligible for EARLY acceptance into MAPL events. NOTE: ONLY teams who have submitted payment for entry will be given consideration for early acceptance. As a reminder, only results posted in AES are guaranteed to be considered for MAPL entry acceptance and seeding purposes. * 2. Check any/all MAPL tournaments you plan to attend in 2019. * 4. Tell us a little about your CLUB and/or TEAM? [This is especially important information if you are a newly formed club]. Include your evaluation of your team's competitiveness and how you determined their 'level. How long has your club/team been in existent? What level will your club's "1" teams play in qualifiers [Open, USA, American]? How many qualifiers does your team participate in each season? * 7. Tell us a little about the athletes that make up your team(s). Questions left unanswered will be assumed to be no's. Are the athletes on your team much like your team from last year but an age older? If yes, what national championship event and division did this team participate in last season? * 8. Provide information and tournaments that your team will participate in through MLK weekend. * 9. List all qualifier and qualifier-type events your team is attending and indicate division you have registered for each event. * 10. 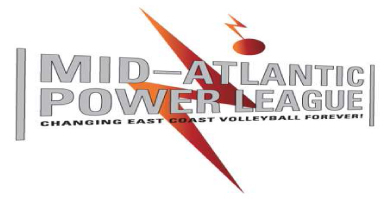 List any other multi-day interregional events your teams will participate in this season. You do NOT need to include MAPL events. * 13. I confirm this information is accurate and understand it will be used to determine if my team is eligible for early entry into MAPL events.